Do you want to be a builder? 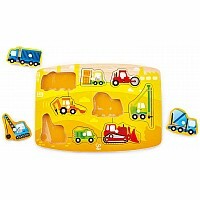 Learn more about the different kinds of vehicles you may encounter on the construction site with the colorful and engaging Construction Peg Puzzle. 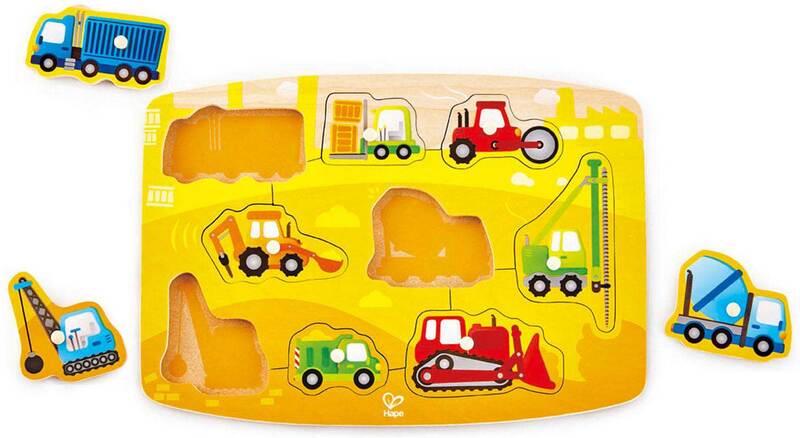 Solve the puzzle by matching the shapes or images with the correct holes and encourage your child to say the names of the construction vehicles as they play. 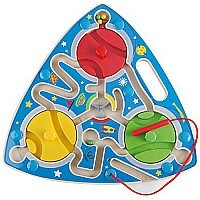 The puzzle includes a colorful, construction-themed puzzle base and nine vehicle puzzle pieces with pegs. Features easy-to-grab puzzle pieces and bright and colorful construction-themed graphics throughout. Helps develop children's finger grasping skills. 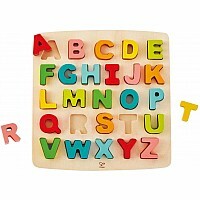 Made from high-quality, durable wood. Suitable for children aged 24 months and up. Measures approximately: 11.57 x 9.76 x 0.71 inches..